How will the Jets perform in their first year up north? Andrew Ladd and the rest of the Jets will receive a tremendous reception upon their return to regular season action in Manitoba. But for just how long will that elation extend? Knowing Winnipegers and their passion for hockey—the entire season. But how good will the Jets be? They have a relatively young team and can expect improved performances from developing players like Evander Kane, Alex Burmistrov, and Zach Bogosian, and also a return to form for veterans like Bryan Little and Nik Antropov. Newcomers Patrice Cormier and Spencer Machacek may make an impact before the year is out. In goal, Ondrej Pavelec should once again bring solid net minding to the crease, and keep Winnipeg close in most games. All in all, the Jets are a young team and are not expected to challenge for a division title. A playoff spot is not out of the question, especially with the crazy fan base behind the team this season. 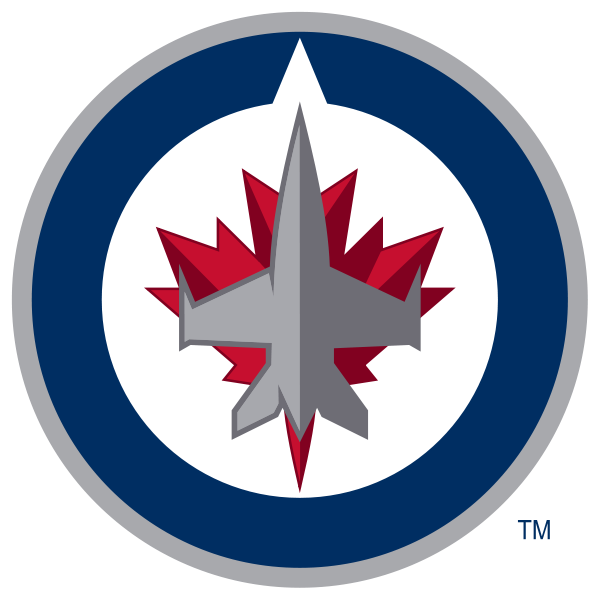 Assuming Washington and Tampa Bay finish above the Jets, Winnipeg will likely be competing for third place in the division, and 8th to 10th in the conference. Forwards The Jets have plenty of young fantasy options, but no bona fide stars quite yet. The young winger bloomed in Atlanta last year. Buried in a deep line up in Chicago, the captain with a Stanley Cup ring tallied 59 points last year, and could surpass the 60 point mark this time around. His best is yet to come. The robust, young winger plays a tough game, is not afraid to drop the gloves (just ask Matt Cooke), and has a great deal of talent as well. Kane could tally 30 goals this season as his role increases with the club. Likely the most attractive fantasy option, Kane is poised for a breakout this season or next. The talented forward has been up and down the past few years. After 51 points, he followed up with 34, and then 48 last year. If he stays healthy, 30 goals are possible, as well as 50+ points. Expect a modest increase to about 55 points this season. Wheeler seemed buried in a deep line up before turning the scoring up a notch upon his arrival in Atlanta last year. Wheeler tallied 17 points in his last 23 games, and that may be a sign of things to come. At 6’5” and with speed to burn, the potential for a breakout is there. 50-60 points appear to be his future, and that may not be the limit for the talented big man. The native of Kazakhstan is quite the enigma. He oozes skill at times, but seldom plays to his potential. With 67 points two years ago, he dipped to a mere 41 points last season. This time around, expect his totals to wind up somewhere in between the two. 50-55 points is probably accurate for the 6’6” 240lbs center. Fehr had a bit of a breakout season in Washington some time ago, but injuries have derailed him of late. He’ll receive another chance in Winnipeg, and this may be his best chance to establish himself as time is running out for the 26 year old. Still, he is an interesting package with considerable skill and a 6’4” frame. Burmistrov tallied one of the goals of the year last season, and impressed many critics with 20 points in his rookie season. Looking to build upon those numbers this year, expect a modest increase to approximately 30-35 points. The big man flew out of the gates last season, racking up points at nearly a point per game pace. Although he faded late in the year, he still amassed 20 goals and 53 points. Including his 100 PIM potential, he’s pretty much a fantasy stud on the back end. Expect 15-20 goals, 55 points and 100 penalty minutes. What Enstrom lacks in size, he makes up for in hockey acumen and skill. Capable of tallying 50 points, that same total is within range this year for the talented Swede. The 6’3” defender logged over 22 minutes of ice time per game and is a budding young star. His 17 points last season were a bit underwhelming, His previous two season demonstrated more. His fourth year in the NHL, expect a boost in production, perhaps 35 points. Pavelec played quite well last year, with 4 shutouts and 21 wins. In Winnipeg, he’ll generate a legion of fans with his ability, and hopefully he’ll hit the 30 win mark for the Jets. Mason has played some solid games over the past few years and is a solid netminder. This season, he’ll back up Pavelec and can step in if he falters. Wheeler is 6’5”, can skate quite well, and is a budding power forward. His 17 points in 23 games after being acquired from Boston suggest that more could be in the cards this year. His previous season high point total was 45, so you can almost certainly expect an increase upon that total, warranting genuine sleeper status heading into this year. If you want a piece of the Jets, Wheeler would be a solid bet to notched 50-60 points. Cormier is a feisty two-way winger who played 21 games last season with limited action (9 minutes per game). This season, Cormier could make the team full-time and earn more ice time—perhaps 12-14 minutes a night. If Cormier can claim that ice time, 20-30 points may be within reach. Overall, he projects to be a decent two way forward, so while the sky is not the limit for him, he is close and a probable pro this year. Kane’s second season last year was a solid one. Moving from 26 points in his rookie year to 43 last season, this coming year could yield a similar jump to 55-60 points. Kane is fast, physical, and possesses a solid amount of skill. Andrew Ladd and Blake Wheeler may outperform Kane this season, but Kane is the Jet with the most potential up front. The dynamic youngster should hit 25 goals and 50 points, but may surprise and hit 30 goals and 60 points if things go well.